A CMT reality show star is in some hot water. 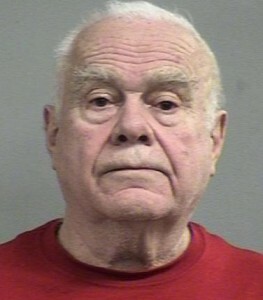 Grandpa Winfred L “Biff” Sumner of Guntucky fame was arrested late Tuesday night at his Louisville, KY, motel after allegedly pointing a firearm at police just before 10PM on March 4, 2014. An LMPD officer was conducting an investigation at Biff’s Motel when Sumner, who had his hand in a jacket pocket, became agitated. The officer demanded that Sumner, 77, keep his hands visible, at which time Sumner removed a handgun from his pocket. According to the report, Sumner – who also owns a local gun store – refused to lower his firearm until a second officer arrived and demanded that he lower the gun. At that time, Sumner returned the firearm to his jacket pocket and surrendered to the officers, both of whom were in full uniform at the time of the incident. Sumner, who police claim admitted to drinking earlier in the day, was arrested for wanton endangerment and alcohol intoxication in a public place. Sumner was being held on a $25,000 full cash bond. Discussion on GunLink Forums. Guntucky. I like Biff. Hes one of my favorites on the show. Who knows what actually happened – he “removed gun from his pocket” or he “pulled gun on officer and pointed it at him”? I hope everything works out. Free Biff!